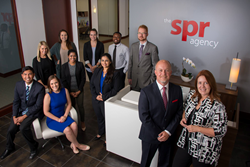 the spr agency, a Scottsdale-based public relations agency, has been ranked as one of Phoenix’s top 20 public relations firms by the Phoenix Business Journal. When we started this agency a decade ago, the goal was to provide cutting-edge business marketing solutions for our clients. That commitment to leading the way in our industry has never wavered. The agency, celebrating its 10th anniversary in 2018, counts national homebuilders, premier master-planned communities, electronics manufacturers and healthcare companies as clients. It was also listed as one of Phoenix’s top 25 social media firms by the Phoenix Business Journal. Last year, the company was named the No. 1 public relations agency in Arizona by Ranking Arizona.